Gardens in the Ghyllside area of Hastings will be open. There will be a variety of stalls in some of the gardens, ranging from healthy foods to bric-a-brac, and of course the Macmillan Grand Raffle. The popular WW2 air-raid shelter will be open this year, fully equipped with authentic memorabilia, all described by an enthusiast, with anecdotes from his time as a war evacuee. Refreshments and food available all day in various gardens. Event is in aid of Macmillan Cancer Support. 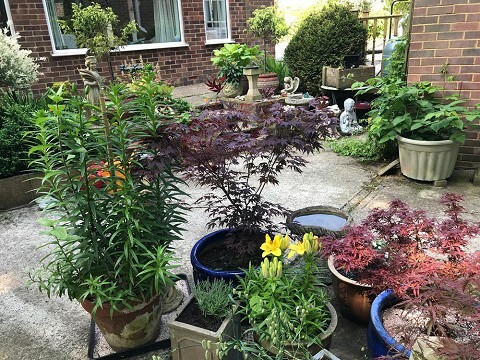 There will be a giant plant stall, grown by local gardeners and a local commercial nursery Friary Gardeners, which offers horticultural training and greater independence to adults with a wide spectrum of leaning difficulties. Entry programmes available from 1 Ghyllside Avenue, Hastings two weeks before the event, and on the day. Ghyllside Avenue is off the A2101 St Helen's Road. Gardens are in the area of Ghyllside Avenue.